Decisions are often made subconsciously and emotionally without sufficient investigation or critical thinking. The purpose of these activities is to develop a physical fitness program for students to implement in school and outside of school to live a healthier life. Access valid information to enhance health. Goal setting to enhance health. Health is the practice of making healthy decisions and choosing healthy behaviors and avoiding or reducing risk. Activity Sequence to provide sufficient opportunities for students to achieve the targeted outcomes. Focus student's attention by asking the main focus question. Ask and discuss the sub focus questions. Present the four step goal setting process. Students high light ideas they feel are important to consider when setting goals. Share, discuss, and process results with scoring suggestions. Have students summarize the importance of knowing and using a goal setting process. FITT Model - thats in the book - I will scan a little activity we did as a bell ringer. Intensity zones for cardiovascular fitness - calculate those target zones - page 329 of text book. We figured the heartrates for low, moderate, and highly intense zones. Pulse - Pulse for 10 secs and 6 secs....X by 6 & 10 to get the minute heart rate. 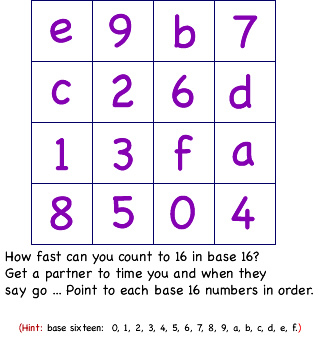 Reaction Time - Counting in base 16 and meter stick test. Cardio Endurance - Mile test and step test. Agility - Shuttle run or 3 cone drill. Use valid information to set goals and choose behaviors for physical health. Upper level: behaviors include activities that include cardiorespiratory and muscular work outs with safe use of equipment. Choose mastery oriented behaviors that benefit a healthy body. Top level: Choose mastery oriented behaviors that benefit a healthy body through a variety of activities that include a focus on process, accurate information, identification of a problem, analysis, generation of alternative behaviors and possible choices with positive and negative consequences, implementation, and evaluation suggestions and describes benefits for a comprehensive physical health process. Focus question - When do people need to make decisions? How do people enhance their physical health? How do people set goals? What behaviors are beneficial for positive physical health? What different options are available to improve physical health? What options or choices are best for different people? How are the options evaluated? What goals and behaviors should be included in physical fitness programs? How do people make decisions? Go with their gut. React without thinking. Organize a process that follows a series of steps: Identify a problem, collect information, analyze the information, generate options or choices, consider consequences, make a decision, implement, evaluate. How are the options evaluated? With the consequences, ethics, legal, moral, and values applied to consequences and risks. Give each student a copy of . Share, discuss, and process decision making results with the scoring guide suggestions. Share, discuss, and process results with scoring guide suggestions, rubric. Have students summarize the importance of knowing and using a decision making process. You may think about your fitness program in what ever way you feel comfortable with it. Review what you actually did or you may change what you did and review it differently either positively or negatively. Share an discuss in groups and as a class. Find your pulse at your wrist. Make sure you can find it whenever you want it. 2. Count the number of pulses you feel in exactly 10 seconds. 3. Take this count three times, and record each one on the pulse chart below. 4. Multiply each count by 10 to find the number of pulse beats per minute. 5. Find your average pulse rate by adding the three numbers in the "number of pulses per minute" column and then dividing the total by 4 to find the average. 1. Find your pulse at your wrist. Make sure you can find it whenever you want it. 2. Count the number of pulses you feel in exactly 6 seconds. See how fast you can complete the task and record the times. Record the first three and the last if you do it more than four times. Try it again tomorrow after you sleep on it and record those times. What statements can be made about reaction time, sleeping, and learning? Materials: meter stick, notebook or folder, calculator, gravity, subject and experimenter. The person, whose reaction time is being test, sits at the edge of a table, resting their elbow on the table so their wrist extends over the side of the table with their hand positioned to catch the meter stick as soon as it is dropped. Another person holds a meter stick vertically above the subject's thumb and index finger so the zero edge of the meter stick is close, but not touching. When ready, drop the meter stick without warning. Record the centimeters the ruler fell before it was caught. Repeat several times (e.g. 10 times) and find the average distance the meter stick dropped before it was caught. Use the table below to determine the time in seconds it took the ruler to fall over the measured distance in centimeters (cm). The formula: t = sqrt ( 2d / g ) is used to calculate time. d = the distance the ruler fell in meters, g = the acceleration of gravity in meters (9.8 m/s2), and t = the time the ruler was falling in seconds. This test can be used to determine the reaction time for different situations. For example to a sound. The Apparatus can be used with the subject wearing a blindfold, and the meter stick being released at the same time as an auditory signal. F.I.T.T. Model (Frequency, Intensity, Time and Type) identifies four important variables to consider when developing an exercise program. Frequency is how often to exercise. When considering frequency the amount of stress need to benefit from the work out needs to be considered along with the time the body needs to heal and build muscle and endurance. Intensity is the amount of effort or work for each specific exercise for a complete session or combination of sessions. Consider what is a good balance to provide an intense work out that will stress the body but not so difficult that it results in injury or burnout. Time is how long each session will last. Consider the intensity for each specific exercise performed: cardiovascular, resistance or both. Type referes to what system or part of the body each specific exercise will benefit: Will it benefit primarily cardiovascular, resistance training or both for each specific exercises performed. Directions: Use a vocabulary term to answer each question. 12-16. For each part of the F.I.T.T. Plan: write what each letter stands for, a definition, and give an example. 16-21. List and Briefly explain the 3 stages of a workout. 21-30. Draw the Decision Making Circle and list the 9 steps to making a well thought out decision. In the following scenario - Go through the 9 steps and list examples of each in the circle to come up with the best decision. Scenario: A friend asks you overnight and you know his parents are out of town. There are many options here - what path do you take? 30-40. Use the word back to identify the area of Fitness for each test to measure and then list one way to improve in that area.